Helpful, friendly staff and the location is excellent. The room and bathroom were always kept very clean. le Peninsular bénéficie d'un emplacement idéal au centre de Gérone, à 700 mètres de la cathédrale ainsi que des gares routière et ferroviaire. Ses chambres climatisées disposent d'une télévision par satellite à écran plat et d'une connexion Wi-Fi gratuite. Les chambres de l'hôtel Peninsular présentent une décoration simple et fonctionnelle. Elles disposent d'un bureau ainsi que d'une salle de bains privative avec sèche-cheveux et articles de toilette. Le personnel de la réception ouverte 24h/24 sera heureux de vous renseigner sur Gérone. Un petit-déjeuner buffet est servi dans la salle à manger. 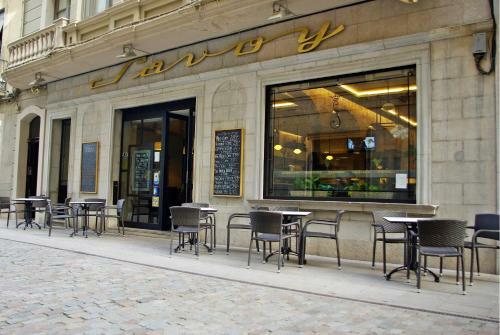 Le Café Savoy, situé à l'étage principal, propose le déjeuner et le dîner ainsi que des concerts le week-end. 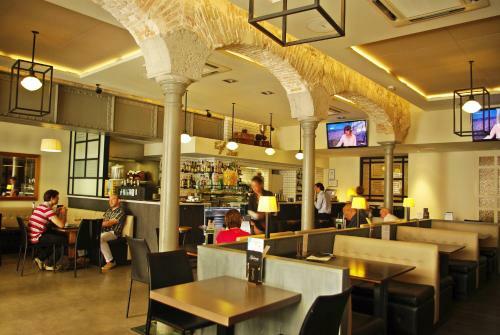 Situé sur une rue commerçante populaire, le Peninsular se trouve à 5 minutes à pied des cafés et restaurants de La Rambla ainsi que de la Plaza Independencia. 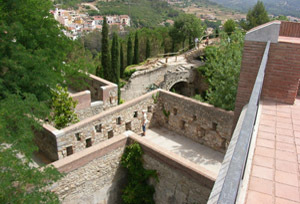 Les fortifications de la vieille ville historique et le quartier juif sont accessibles à seulement 500 mètres. The bed and pillow was a little uncomfortable. Decor in the room looks slightly dated but that's a very picky point. 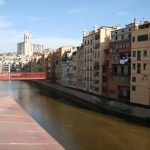 the hotel is near the center (Girona is a small town) and no too far from the stop bus to the airport (central railway station). breakfast and cleaning ok.
more towels would have been appreciated. I like location of hotel, very close to beach and in the town centre. No towels available to use the roof garden and jacuzzi. Waited for hour and a half for some but they never came. Excellent location. Good customer service. Creaking doors and could do with a bit of oil (WD40) on the door hinges. Also room temperature set at 24C and the temperature control panel is stuck. Excellent value, fabulous location, very clean and comfortable. renovated the hotel but the rooms needed some renovating too and some electricity plugs! 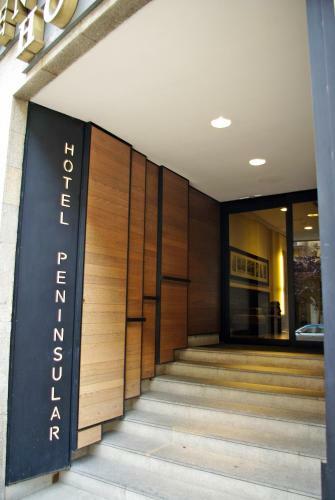 Good quality hotel with an excellent central location. Cafe/Bar facilities during the day. Underground car parking relatively close by with drop off parking outside hotel. No evening meal facilities but good restaurants close by. Excellent location ,helpful and friendly staff. 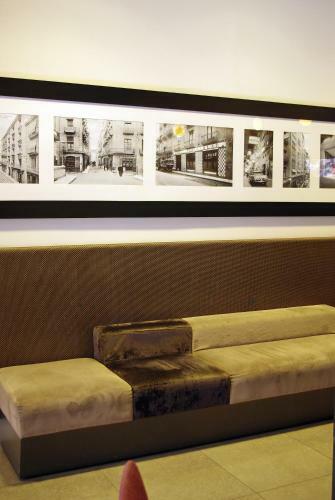 The style of hotel. Breakfast very good. Staff keen to please especially reception during booking in late at night. The location. Some rooms didn't have outside window.We arrived at hotel at 11pm and there weren't any facilities in hotel to have a drink or snack. Fantastic lococation. Informative and friendly staff. Room spacious and comfortable. Café downstairs. 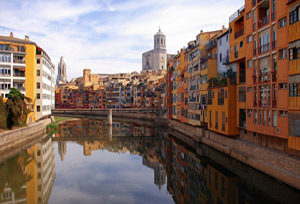 Ideal place for a 3 or 4 day break in lovely Girona . Really recommend. Location is very convenient. Staff was professional and helpful. The Wi-Fi range was limited to the desktop, next to the door. Great location; good adjacent Savoy bar with excellent-value daily lunch menu; fairly good breakfast. Very good power shower. Overall excellent value for money. 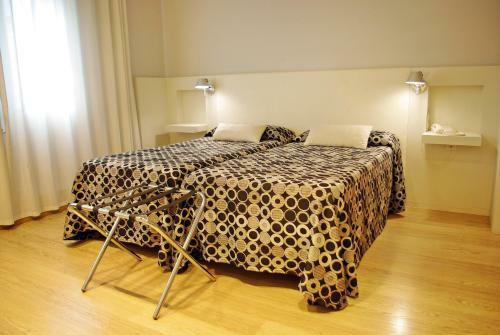 Single room had a narrow bed with flat sheets and blanket. 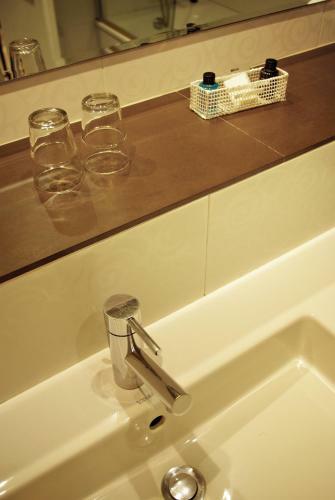 The bathroom, although good, could have done with a towel-heater or some other form of heating. 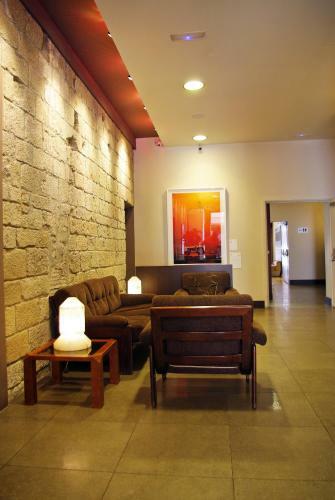 In spite of these minor negatives, the hotel is still excellent value for money. It´s well located, midway between the Train Station and the Cathedral. Good relation quality-price. We had a great stay in the hotel for three nights. 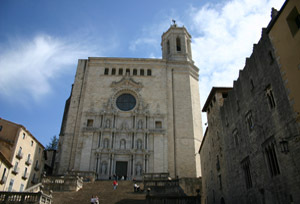 The beautiful old centre of Girona is just around the corner. The staff was very helpfull and could talk excellent englisch. The best hotel out of many we had untill this far! the rooms are old, at list at the second floor where I stayed. the bathroom was very big but old as well, you dont expect that as the lobby and other areas look very new, but the truth is that it was not a big deal, as i did not spent all the day in the room. 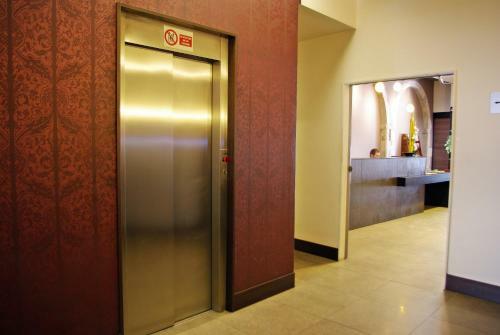 Great value in good location both for the city and for the bus and rail station. Excellent bar & cafe attached where we took our continental breakfast with freshly squeezed orange juice. 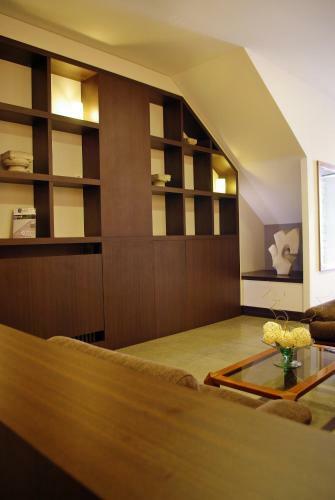 Style, ambience and central location, for a budget price! We liked the fact that the hotel was so central, giving easy access to all parts of the city.and only ten minutes walk to the train and bus station. 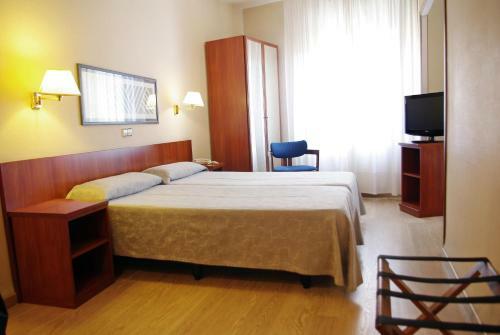 The room was comfortable and clean,and ideal for an overnight stopover. The staff was nice. The location was excellent. The breakfast was good. 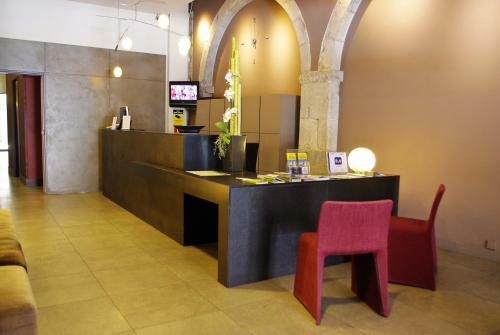 I sent an request via email bofore arrival regarding the late check in and the beds, and the staff replied promptly, which I thought was very nice. The receptionist spoke fluent English. The room was spacious and clean. The location and my room were good. The stairs up to the third floor were quite a climb. The internet did not work very well. 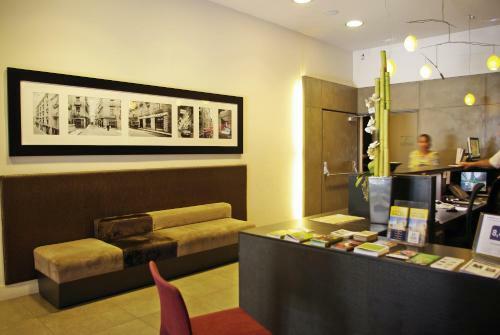 Comfortable, clean hotel, centrally located between railway station and centre of old city but quiet. Breakfast a bit on the expensive side but very good quality. Room small. Car parking some distance away. 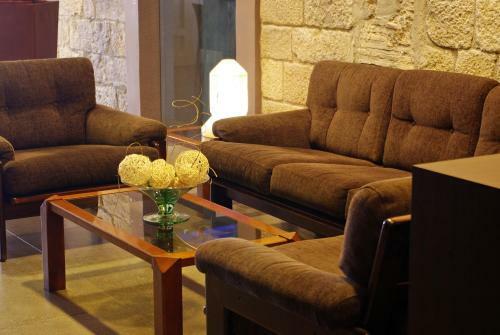 The location is really great,the hotel is value for money. Location is good. Stuff is good. Room is good too. Some problem with AC - it cooled only 23C, no more and no less. My daugther found cover of condom under the bed. wi-fi doesn't work in the room. 10 minutes walk station (bus & train). Vary central location 2 minutes old town. Good size rooms. although the room was clean and tidy, it was very basic, a little more than we expected. however we would stop again at this hotel knowing what to expect. Great location, beautiful lobby and nice looking restaurant. Cleanliness of room was poor - dirty floor, hair in tub and toilet. The staff was very pleasant and helpful. Centrally located. Location was perfect for visiting the old town. Restaurants easy to find with lots of choices. Staff friendly and helpful. Good breakfast. The bed was a little uncomfortable. I like hard beds but many may not. The pillows were too narrow and soft in contrast. The room seemed a little dated considering the very modern reception area. - Central location; - helpful receptionists. 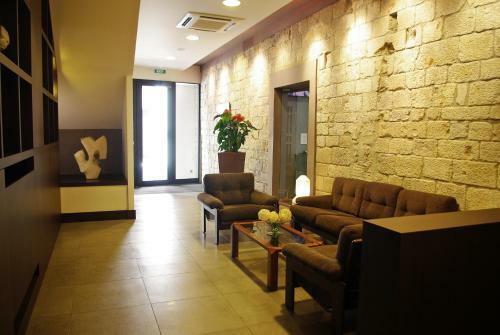 Location is perfect, close to the old city wall and historical center, as well as shopping streets, railway station, etc. The shower was old and the flow of hot water was not good. 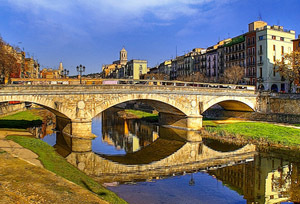 Ideal location for walking around town and right next to river. We arrived passed Midnight so we only had a short night. Room was big, bathroom fine and beds ok. Very helpful staff. 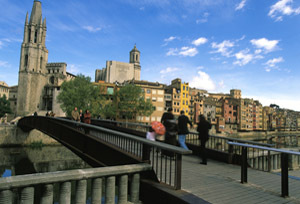 Good value, great location to discover Girona on foot. We did not try any facilities so have nothing negative to say. The only thing we didnt like was the uncomfortable beds and the fact there were no coffee/tea making facilities in room. the coffee is terrible with the machine.Can you have moka coffee? Location. Centre of main part of city. 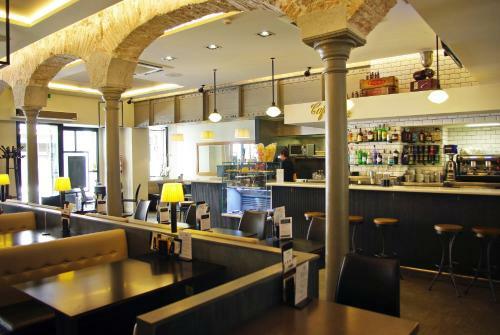 Only ten minute walk to railway and bus stations.. Good attached cafe for breakfast if you only want coffee and croissant instead of 8 euro breakfast in hotel. .
Central location,10 minutes walk from rail/bus station and 10 minutes walk from GIrona old town. Excellent cafe ( Berlin) next door. Very flat pillows, slightly dated feel to room. Attractive well designed comfortable at good price. Very good value breakfast. Only one problem. We asked for another pillow that never arrived..
Lovely hotel, in a great position near the river and only a few minute's walk from the cathedral. Staff very helpful. Lots of choice at breakfast.